← Iraqi Crisis: Terrorist Attacks or Popular Uprising? 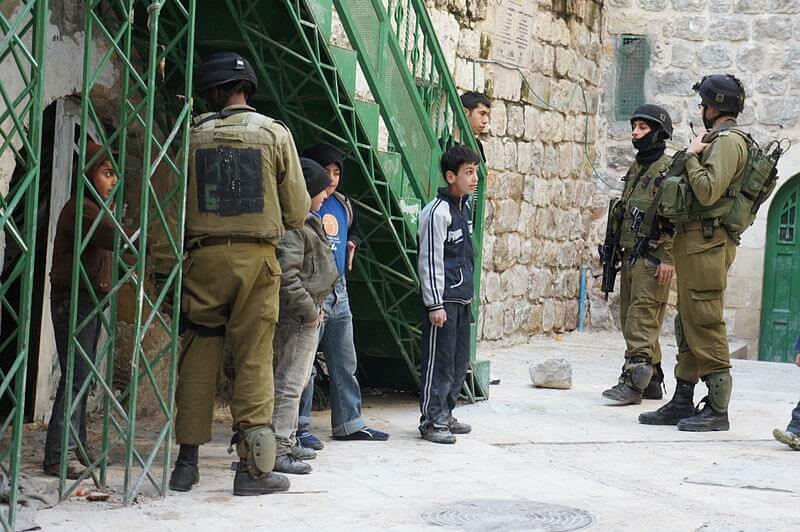 Israeli soldiers detaining Palestinian children in Hebron. “They [the Israelis] have no proof that Hamas is behind this operation, as they have failed to provide any proof indicating this,” Maliki told Saudi daily A-Sharq Al-Awsat from Jedda, where he, with PA President Mahmoud Abbas, was visiting last week. “In the absence of proof, there are three possible scenarios for the issue: The kidnapping could be a childish game on the part of Israel to draw attention to it, it could be part of a larger game to turn the Israelis from aggressors to victims, or maybe they were really kidnapped,” Maliki said. Even if the three teenagers were indeed abducted, the foreign minister continued, they could have been victims of “Jewish criminals, Palestinian criminals or Palestinian-Jewish criminals” who carried out the kidnapping “for their own personal goals.” The abduction could have also been carried out by “various Palestinian factions,” he said. Israel has arrested scores of Palestinians, including the parliamentary speaker, in its hunt for the abductors of three teenagers. PM Benjamin Netanyahu demanded cooperation from the Palestinian Authority in returning the captives. Israeli government accused the Palestinian movement Hamas of being behind the abductions on Thursday last week, but Hamas denied the allegations. The IDF conducted mass arrests of Palestinians in the days of the hunt, with as many as 150 people taken into custody by Monday. Among them is Palestinian parliament Speaker Aziz Dweik, who is a member of Hamas, who was arrested overnight, and six other Palestinian MPs. The army also conducted house-to-house searches, round-ups and interrogations in the West Bank, where the three Israelis vanished while apparently hitchhiking. Palestinian witnesses said in once instance the soldiers used explosives to force their way into a home in the city of Hebron belonging to a Hamas-linked family after occupants would not let them in. After staging a violent raid on RT’s office and other media organizations in Ramallah, the Israeli Defense Forces have been asked to provide an explanation. But their vague and inconsistent response has raised more questions than it answers. In the early hours of Saturday, the IDF raided the Palmedia broadcast service provider’s building in the West Bank city of Ramallah, breaking down doors, destroying equipment and confiscating records. The materials and archives of RT’s Arabic service were seized. This entry was posted in False Flag Operations, Human Rights & Justice, Media & Journalism, War & Terror and tagged Hamas, IDF, Israel, occupation, Palestine, West Bank, Zionism. Bookmark the permalink.